Since the seventeenth century, the Churchill family, one of Britain’s greatest political and military dynasties, has had an enormous impact on the history of Ireland. The essays in this volume provide a fascinating assessment of this impact. Categories: Biography / Memoir, 20th Century History, 19th Century History, 18th Century History. Since the seventeenth century, the Churchill family, one of Britain’s greatest political and military dynasties, has had an enormous impact on the history of Ireland. This book seeks to trace this relationship in a series of essays examining some of the connections and controversies. 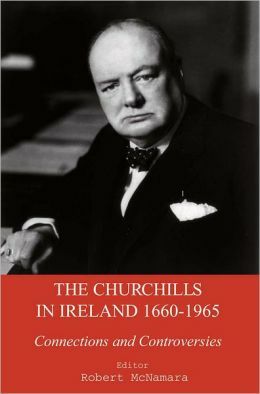 It explores the key figures in the Churchill family who influenced Irish history, including the first Sir Winston Churchill, the First Duke of Marlborough, Lord Randolph Churchill and Winston Churchill himself. Two important Irish Churchillians, Bourke Cockran and Brendan Bracken, were influential figures in their own right in America and Britain respectively, and are part of this collection. Taken together, the essays in this volume provide a fascinating assessment of one British family’s important influence on the course of Irish history. Robert McNamara is a Lecturer in International History at the University of Ulster.